The premise for Dry Blood may seem familiar to anyone who's seen Fedé Alvarez' Evil Dead remake (sequel?). It even takes place in a cabin. Though in the case of Kelton Jones' film, we only have two inhabitants being tortured instead of five, and in place of deadites, it's the demons of Brian Barnes' (Clint Carney) drug-fueled past. Certainly it's a neat way to build some ambiguity into the proceedings, and keep the viewer guessing (and second guessing) the reality of any given situation. 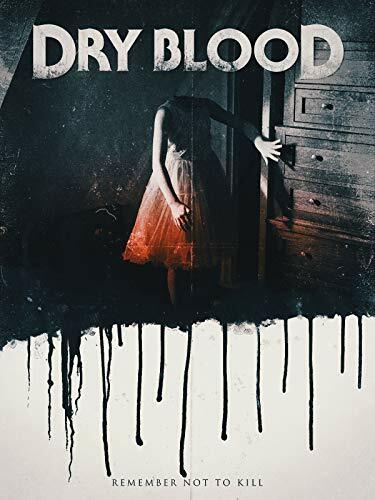 While Evil Dead was completely transparent in this regard, Dry Blood likes to shroud its plot with mind games, twists, and turns, keeping you in the dark right up until the very end. Unfortunately, neither of the film’s two leads (or the screenplay) are able to do that premise the justice it ought to have, and truth be told, it really felt like most of the disconnect came as a result of chemistry. Or rather, the lack thereof. For whatever reason, Clint Carney and Jaymie Valentine seem to be operating at totally different energy levels. It’s as if they read all their lines alone in a green screen studio, and were then superimposed into the film along with their co-star, lending insincerity to everything they put out. Given that the script was already pretty shaky, we’re left with a very distracting situation. A damn shame—it truly is, because on their own, you can see the effort that went in. Right, so while it's riddled with the kind of problems that continually threaten to capsize it, there's still just enough in the way of horror-gristle however, to keep you invested and Dry Blood afloat. If there is a strength, it absolutely has to be the surprising amount (and quality) of audacious violence found within. Ghouls are frightening and ghastly, the dead look disturbingly real, and the crimson moments which tie them all together are unflinchingly brutal. So if you're a gore-hound, you'll probably be more forgiving of the aforementioned transgressions. And if you're patient enough to see it through to the end, the film's closing moments deliver an avalanche of unpleasantness sure to leave you smiling and everyone else looking for the nearest exit.